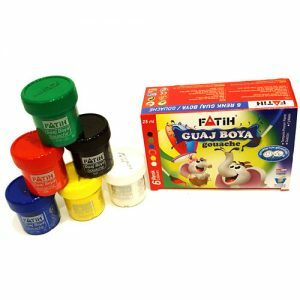 Let the kids have fun with our range of Poster Paint. Let loose, sit back and enjoy watching them create all sorts of fun pictures. High quality and bright colours. 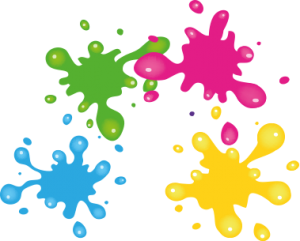 Children will be able to make variations from mixtures of colours. The paints are non-toxic and safe for children. 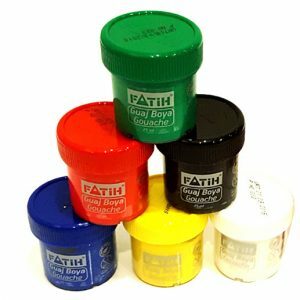 So no more worrying about getting paint on clothes or textiles, because it easily washes out. 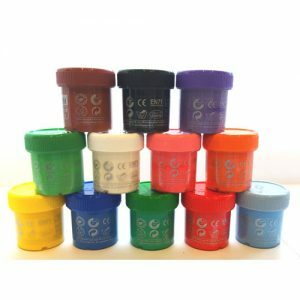 Provided in standard sizes of 25 ml plastic tubs in 6 or 12 lovely colours. Children under the age of 3 should be supervised by an adult.